Just one of an amazing collection at Super Punch (pages one and two), via BoingBoing. Oooh, pretty pretty! Check out the rest of the sculptures at Pink Tentacle. Many thanks and a tip o’ the hat to my dear spouse for sending me the link. 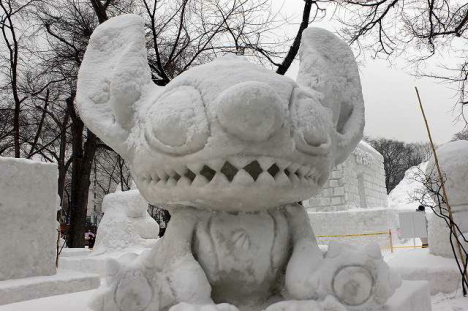 Tired of Stitch taking over Magic Kingdom? Irked that High School Musical pep rally spent all that time in Tommorowland? Then dude, you really don’t want to watch this. Cosplay (コスプレ, kosupure? ), a portmanteau of the English words “costume” and “play”, is a Japanese subculture centered on dressing as characters from manga, anime, tokusatsu, and video games, and, less commonly, Japanese live action television shows, fantasy movies, or Japanese pop music bands. 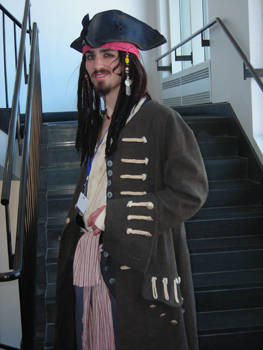 However, in some circles, “cosplay” has been expanded to mean simply wearing a costume. But if by cosplay we mean “people wearing costumes,” I’d have to argue that Halloween is the single largest cosplay event in America, and that Disney characters are hard to avoid. While Disney’s supremacy in the US animation market is surely a major reason for this, there’s also the easy availability of mass-produced costumes of Disney characters, which is very much outside the DIY aesthetic of cosplay. 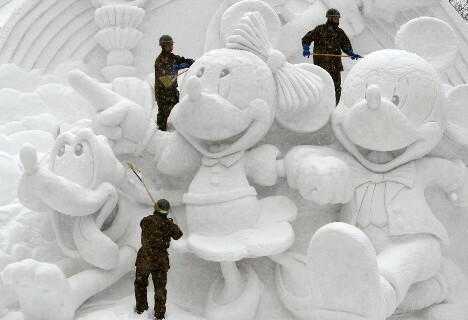 And even at anime conventions, bits and pieces of Disney crop up, for better or for worse. (Despite my Disney fandom, I’d rather see anime cons stay focused more strictly on anime and Japanese culture.) 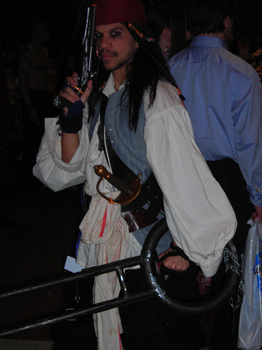 Given the long-term battle of Pirates vs. Ninjas, you know you’ll always find at least one Captain Jack Sparrow. This year I found two, one of whom had found himself a rather large key to Davy Jones chest. 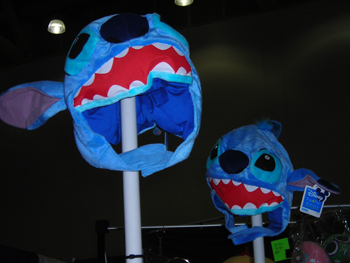 There were also a few Stitch sightings, including one in which several Stitch heads were placed atop poles in the Dealer’s Room, as if to warn potential invaders as to how strongly the locals will defend themselves. Or perhaps the proprietor had recently been to Stitch’s Great Escape, and left with a few things to work out in his psyche. 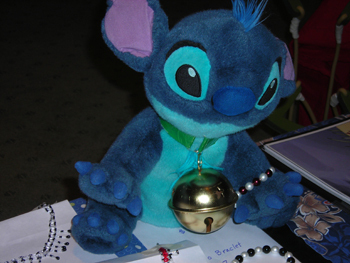 My son tells me that the pink creature looking much like Stitch is Angel, Experiment 627. 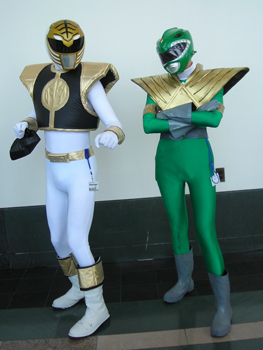 Power Rangers showed up, though of course Disney acquired rather than created them. 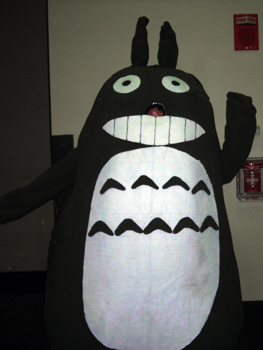 And finally, one of my favorite anime characters of all time, not created by Disney but now distributed by them, My Neighbor Totoro. Does all of this look like fun? Well, ConnectiCon, July 13-15 2007 in Hartford, CT, has a broader focus, including Star Wars and Harry Potter, so there’s a little something for every geek. Time to start planning your costume, anime or otherwise. Sadly, they will be available only in Japan! Guess I gotta plan another trip. Here’s the story, from newslaunches.com. 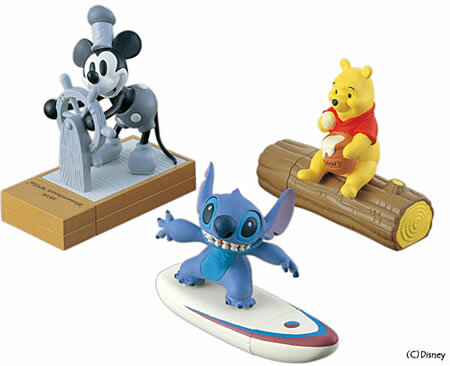 Damn, I really want that Steamboat Willie drive.